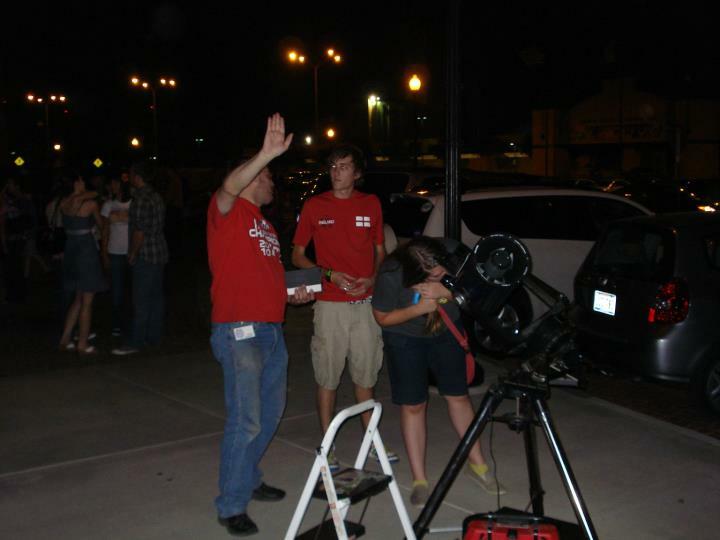 Star Parties are the public outreach events of the society. 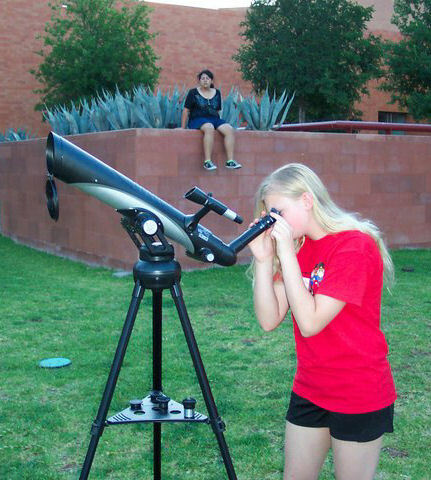 Club members volunteer their time and telescopes to educate the public about the night sky. 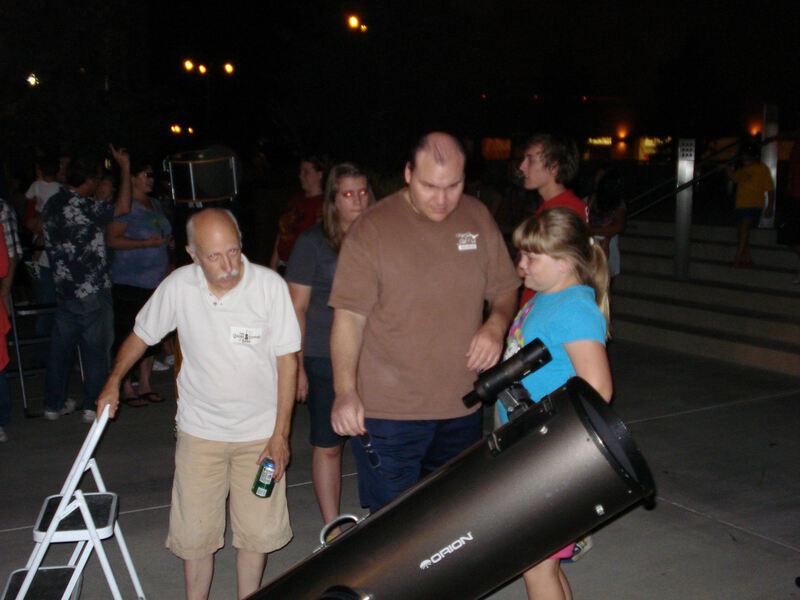 Star parties are also excellent opportunities for those new to astronomy as they give the beginner a chance to use different kinds of equipment or ask experienced club members for assistance with their own equipment. 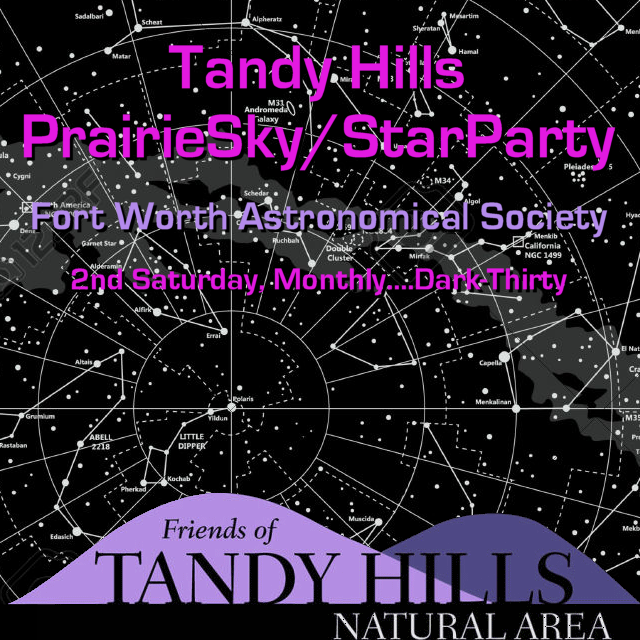 Free monthly public star parties are held at the Tandy Hills Nature Area hosted by members of FWAS. The parties begin at dusk, weather permitting, and last until approximately 11:00 pm. Please check the Tandy Hills Nature Area web site for details as dates and times may change. From time to time the club attends public events sponsored by other organizations. 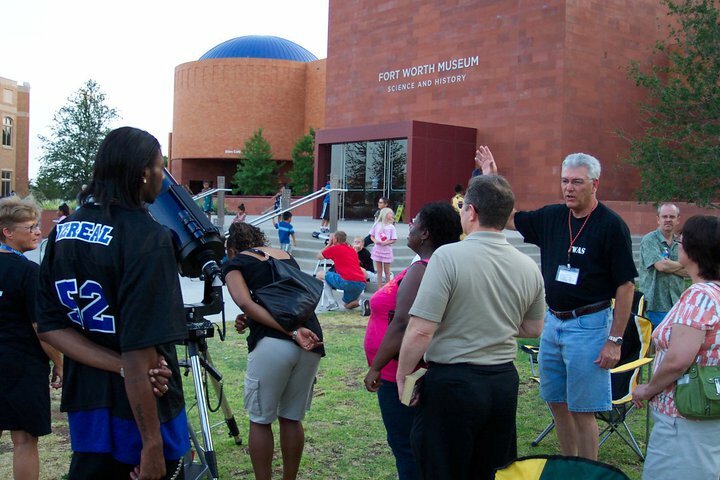 If you would like Fort Worth Astronomical Society members to attend your event, simply contact us by filling out our online request form. If we are available for the date requested, one of our outreach coordinators will contact you to confirm the arrangements. It is suggested that all individuals read, and generally follow, the basic star party etiquette guidelines before attending a star party. This will help to make the experience more enjoyable for everyone there. 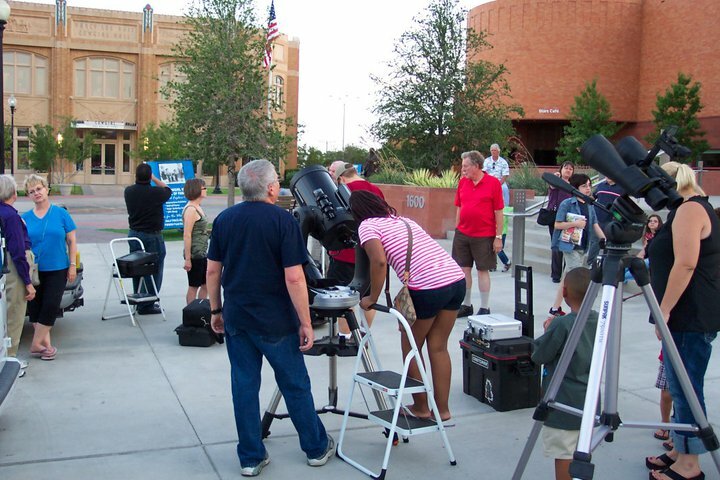 If you would like to have FWAS bring our telescopes to a public event and help show the night sky to your guests, please click on the button below and fill out our request form. Our Outreach Coordinator volunteers will work to enter this on our event calendar. And as always, since our goal is to spread the hobby of amatuer astronomy, we do this free of charge.